Macular degeneration is an age related medical condition which affects older adults. The result can be a loss of vision in the middle of the visual field due to retina damage. 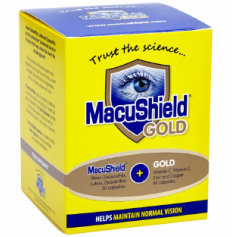 MacuShield is a health supplement which contains macular carotenoids, lutein, zeaxanthin and meso-zeaxanthin to help prevent macular degeneration. Eye lid wipes which are designed to cleanse and soothe eyelids. Ideal for daily use. Ideal for removing eye make up without any other additional cosmetic products. A daily cleaning product for sensitive eyelids. 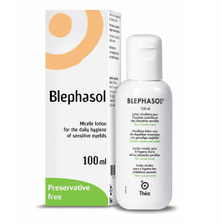 Blephasol is made free from alcohol, preservatives and detergents which may cause irritated eye. 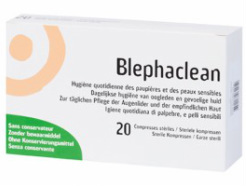 Used to remove, dirt, make-up and dried secretions from the eyelid area without causing any skin irritations or the eye.